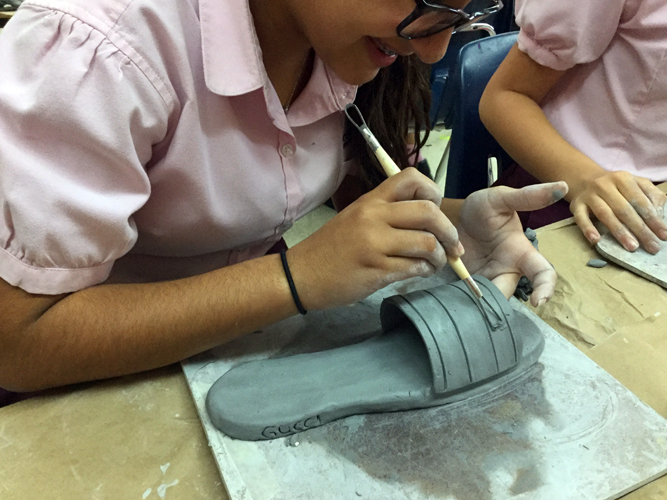 The Mastery Program is a unique experience given to our students. 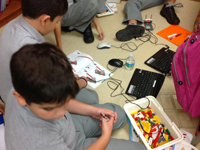 It assigns specific learning periods devoted to allowing students to explore an area of interest. Lessons learned in mastery programs transfer to all other areas of learning. When you learn and master any new skill, you reinforce and enhance the connections you already have. 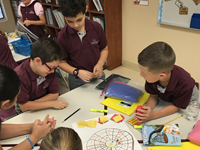 In Grades 3 through 5, special emphasis is placed on individual interests, skills, and talents, and how to apply them to everyday learning and growth. 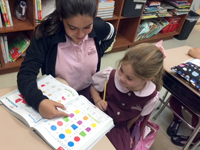 Grades 3 through 5 Junior Mastery groups meet for one hour twice a week in multi-level groups. 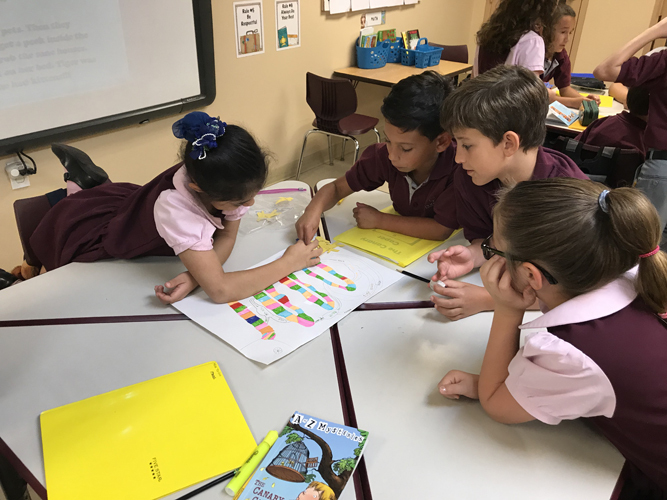 This yearly commitment to a mastery allows students to develop discipline, the ability to think outside the box, collaboration, problem solving skills, creativity and pride in personal accomplishments. 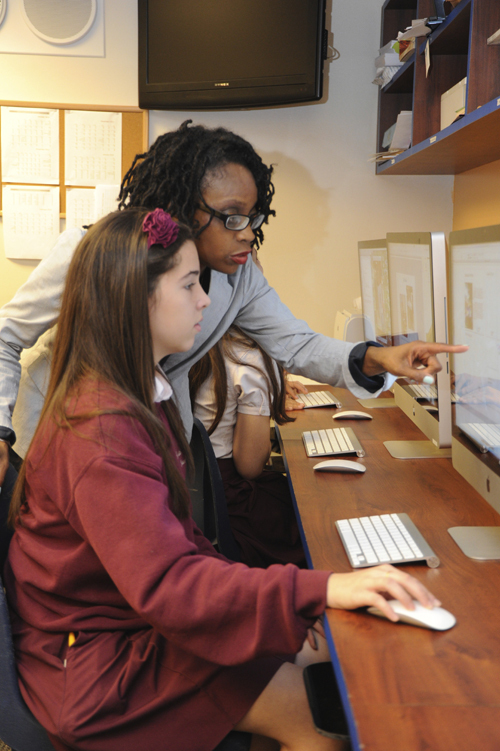 Grades 6 through 8 Senior Mastery groups are intensive. Students make a three-year commitment to an area. 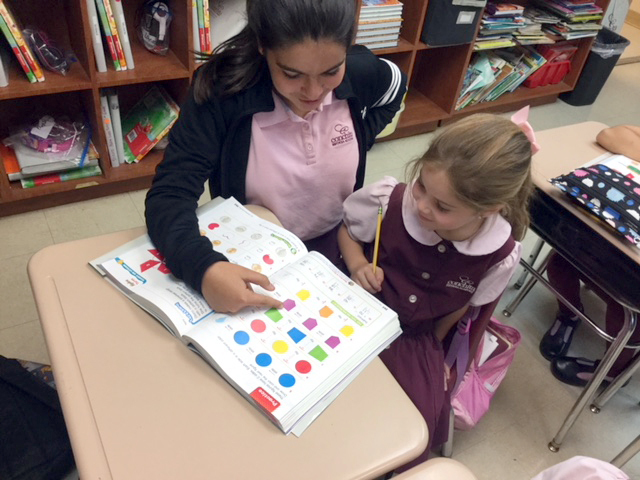 Mastery groups meet for one hour daily and allow students to widen their horizons and learning abilities. Below is a list of each mastery and its description and requirements as well as audition and tryout dates and deadlines for submissions. On Monday, August 27, students will see presentations about each mastery and will make selections based on their interests. Following auditions, tryouts, interviews and reviews of submissions, students will be placed in what the Academy considers to be the best option for the individual. 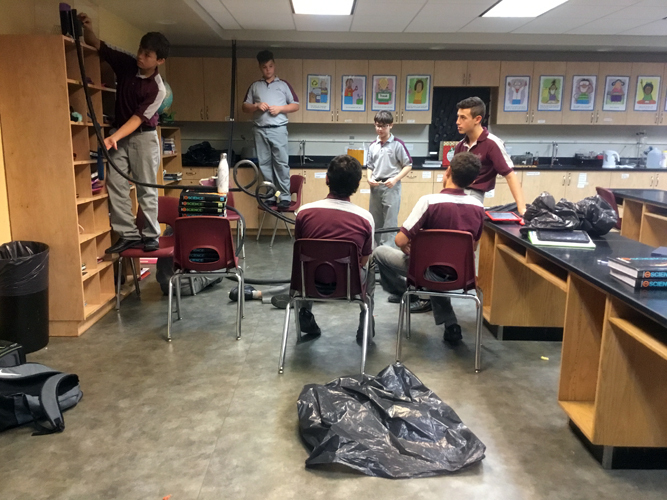 Community Creations combines our civics mastery and a new creative building/making program that will allow students to experience how communities work together within a society and provide hands-on opportunities to make things that will be beneficial to our community. 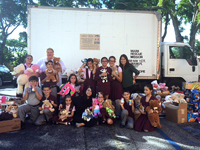 Every year we engage in various community projects that benefit both our community inside and outside of the school. 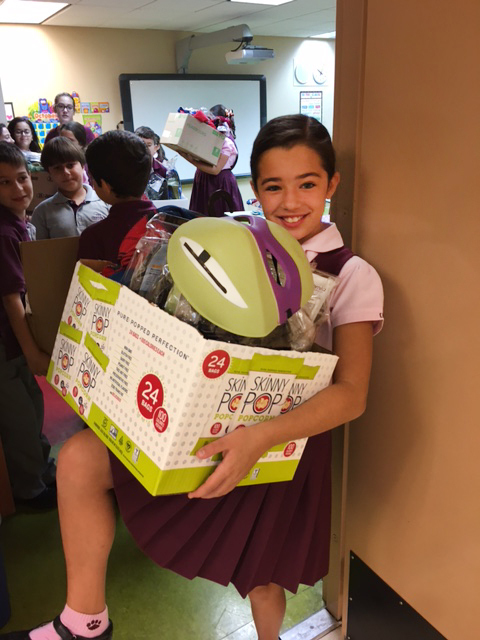 Some on-going, in school projects are BoxTops for Education, recycling, Seal of Approval, and Shoparoo. 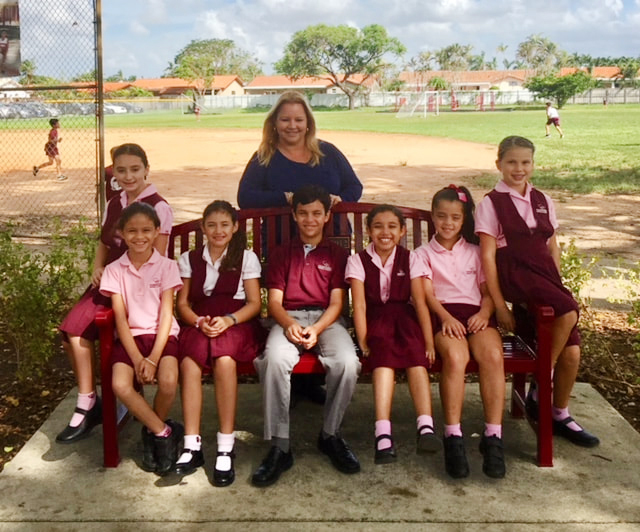 We are also involved in external projects such as a Halloween costume drive, Thanksgiving canned food drive, and raising funds for medical research for the Nicklaus Children’s Hospital. Community Creations also will focus on creative projects that will benefit our community, all in the hope of creating a sense of connection between our creativity, appreciation, love and compassion for others while learning new skills. 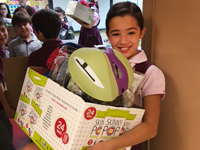 Community Creations’ goal is to make our community inside and outside of school a better place. There is a $30 fee for materials and supplies that will be used throughout the year. 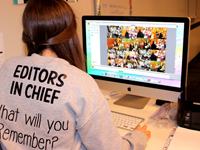 Cougar Chronicle is a fun and creative way for students to get a glimpse into the job of a journalist. Students conduct interviews, take pictures, write and edit articles. 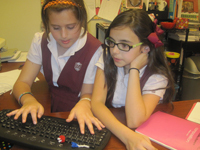 In this mastery, students are able to write about everything that's happening at CEA. 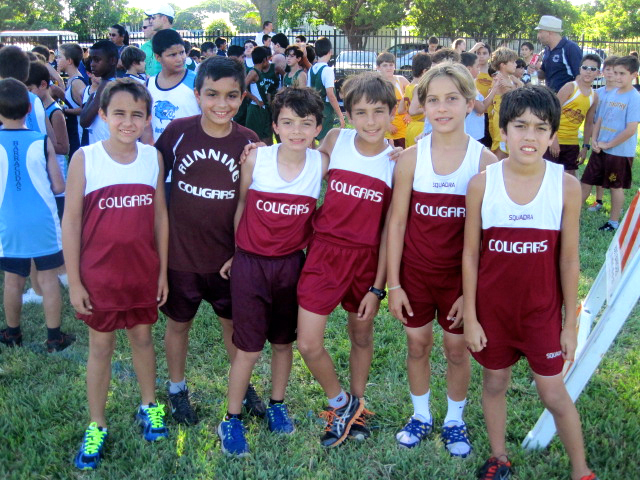 Cross Country requires students to run long distances. Students are expected to show up on time in proper running attire (regulation shorts, shirt, and running shoes). 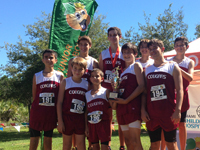 Students will be running between 2-4 miles daily at different paced intervals to not only change up the routine, but also give the students a well-rounded and solid foundation as they begin to understand what cross country and track style running consists of. Also, by changing the methods in which we run, we will be able to identify the strengths of each runner, so when the track meets roll around, we know what event to put the student in to give him/her the best chance to win.. There is a $125 fee that will cover a uniform, practice t-shirts, Gatorade, entry fees and our tent. Requirements: Try-out on Thursday, August 30. Wear your regular uniform for the day and bring your PE uniform and sneakers in a bag. 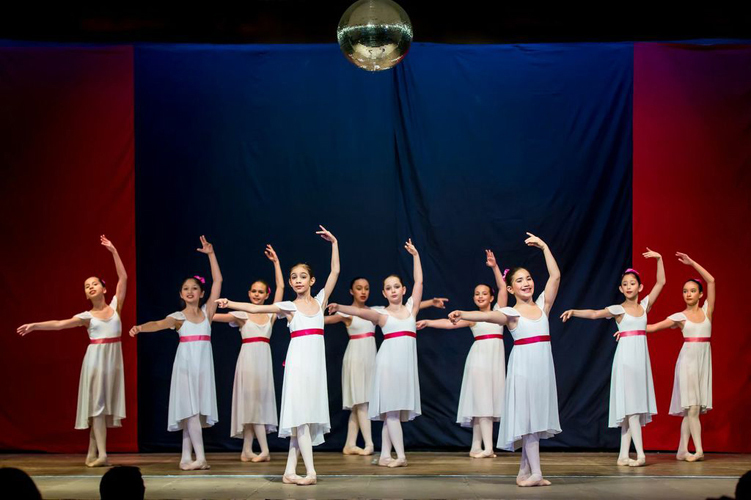 Conchita Espinosa Youth Dance Ensemble (CEYDE) is dedicated to enhancing the dance training for CEA’s dancers in various dance styles. This program has a junior level and a senior level and aims to help provide students with the tools needed for performance in the professional world. 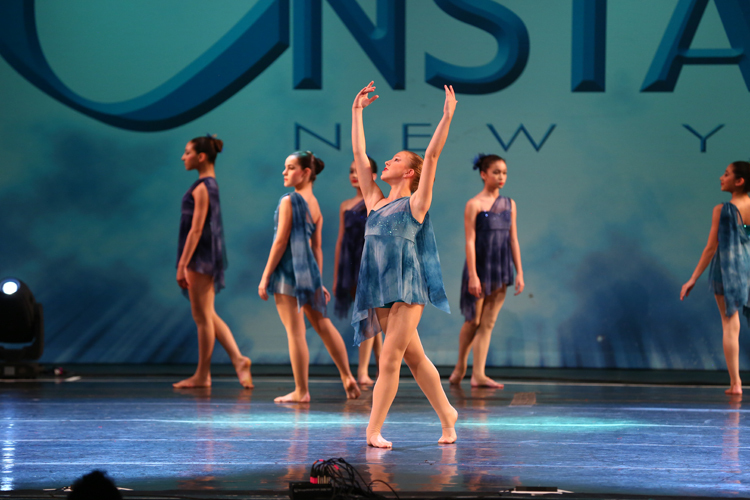 In today’s dance world, the dancer must be extremely versatile as this art form continues to develop and, therefore, classes will focus on ballet and modern technique with other styles taught whenever possible. Students will also study the “progressive ballet technique” which is a specific body conditioning class, with the use of various simple equipment. Field trips to performances, workshops, or a combination of both, in or out of town, are an integral part of the training. Our goal is not only to improve technique and offer performance opportunities but also to develop the human inside. Dance cannot be considered an art if it is executed without a soul. Requirements: Students must have a desire and a passion to pursue dance and the ability to work hard. 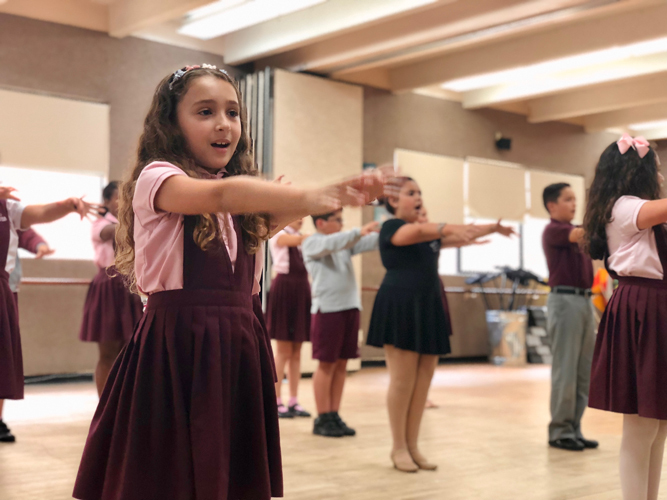 Students wishing to be a part of the Dance Mastery program must audition at the beginning of the year on all specified days and must be enrolled in ballet in the Conchita Espinosa Conservatory of the Arts. 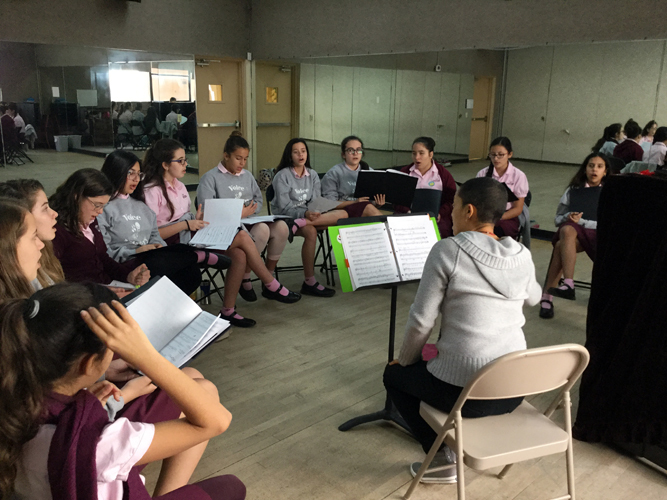 Once accepted into CEYDE, students are expected to commit fully to the program, which includes consistent attendance to all conservatory classes, all rehearsals, workshops, master classes, competitions, and field trips that are scheduled at the beginning of the year. Please note that most of these are NOT during school hours and, therefore, this program does require extra commitment, not just from the students but also the parents. There are also extra costs, including, but not limited to, uniform, field trips, master classes and competitions. The cost can vary for each student, but an approximate cost of main events will be discussed in the first meeting at the beginning of the year. Students accepted into the program will be required to pay a $25 equipment fee. There are also extra costs, including, but not limited to uniform, field trips, master classes and competitions. 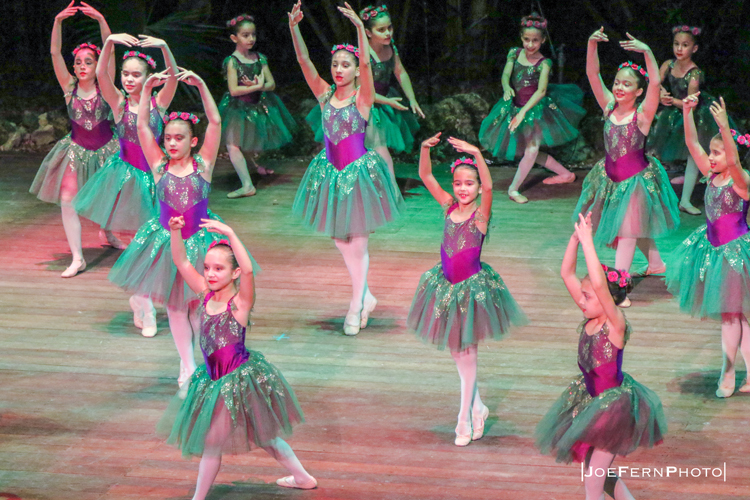 Class – Tuesday, August 28, Audition – Wednesday, August 29, Be sure to bring leotard, tights and ballet shoes both days. Future Teachers work with Kindergarten – 1st Grade classrooms helping the classroom teacher with grading and filing students’ work, bulletin boards, small group and individual tutoring, and sharing their love of learning. Requirements: Students should love working with young children, be proactive, and be willing to work. Students signing up for this group will undergo an interview process with teachers and Ms. Jolliff. Interviews – Wednesday, August 29. 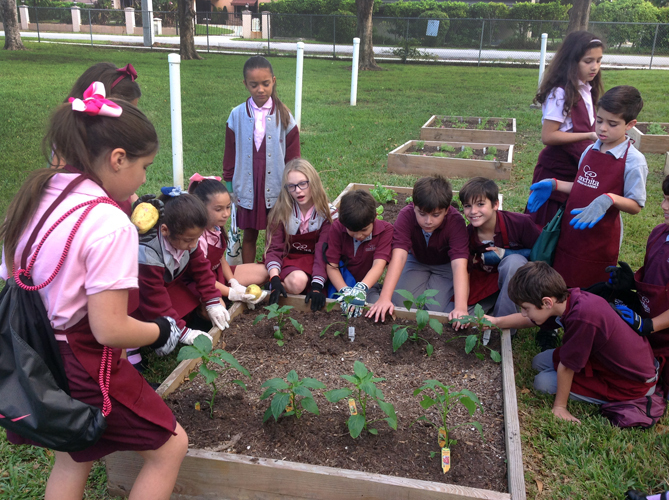 Students in this mastery will spend one semester working in the garden and one semester working in the kitchen using the fruits/vegetables of our garden. 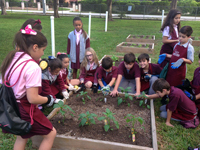 As gardeners students will plant and tend to the garden. 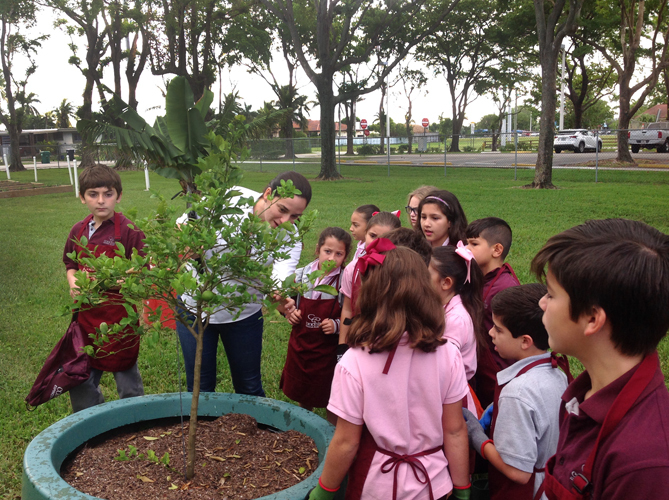 They will learn about the necessary elements for quality plant production and enjoy watching what they plant grow and transform. The semester they become chefs they will learn their way around the kitchen, preparing kid-friendly recipes and learning the importance of a balanced, healthy diet. 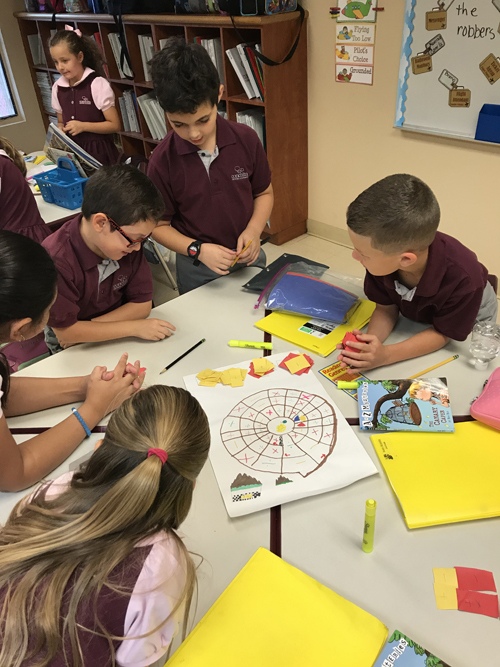 Students will learn new vocabulary, use creativity, science, technology, organization and planning skills, and problem solving skills to build models and program them. Students will be able to share creations with peers orally and in writing. There is a $120 fee that will cover a portion of the cost for the robotics portion of the program. 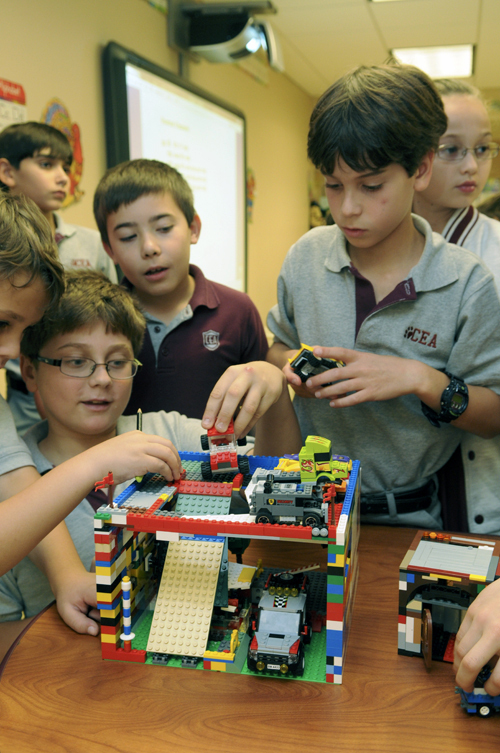 This mastery fosters a love for mathematics, science, engineering and problem solving. 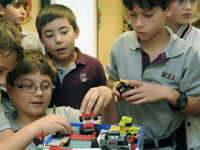 Students will engage in hands-on activities, cooperative projects, and playing games. 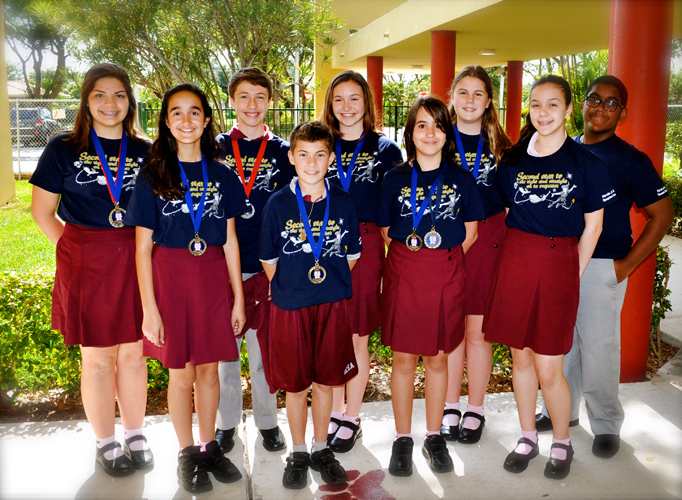 Mathletes provides academic benefits, and it is a great way to express creativity and develop teamwork skills. 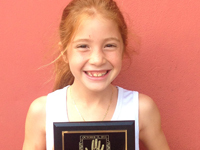 Music Makers is the Mastery Group for CEA’s youngest musicians. 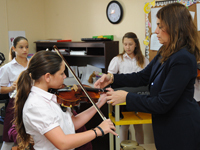 It is geared towards students interested in developing their passion for music. Students do not need previous music experience, but it is recommended. Moderators in the Music Makers work with students on an individual basis to strengthen their technical skills as musicians, as well as participate in ensemble work, in order to discover the magic of making music through teamwork. Violins, flutes, clarinets, guitars, percussion instruments, keyboards, etc., are used to create music that delights audiences of all ages. 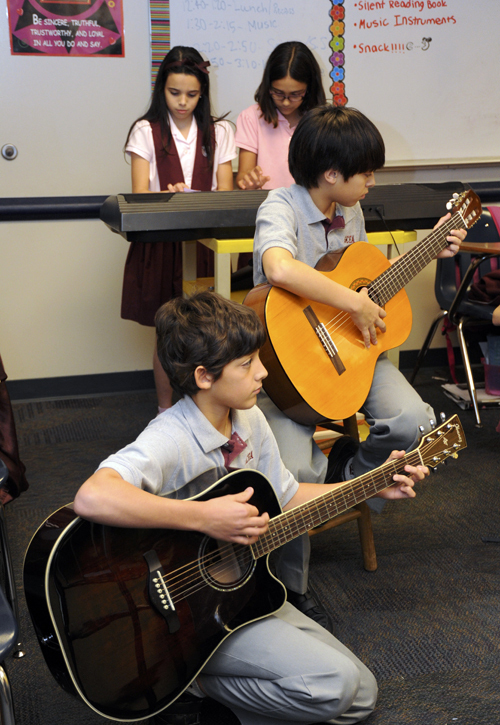 Music Makers participate in several performances each year. Requirements: Interview – Tuesday, August 28 and Thursday, August 30. There will be a $60 fee for use of instruments. 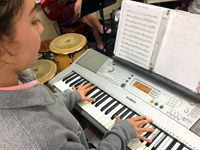 Participation in conservatory music classes is highly recommended. 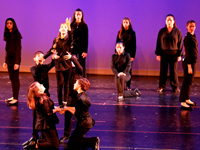 Students will explore the fundamentals of Creative Dramatics. 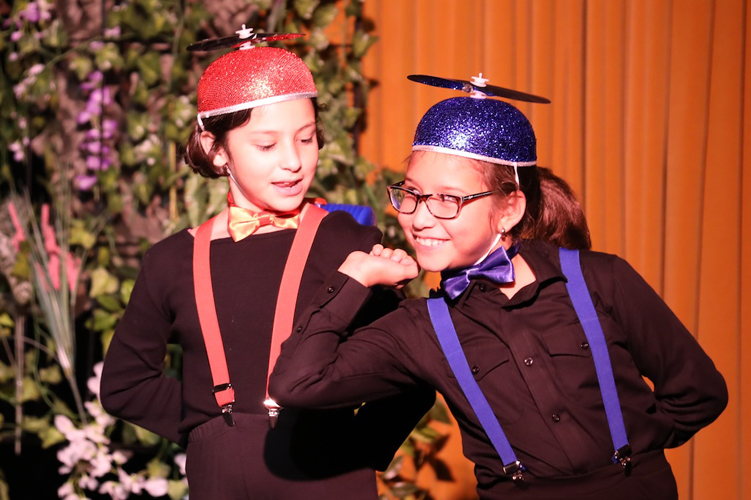 Through improvisational theater exercises, movement, and literature, students will discover an awareness of their own creativity and the creativity of others. An emphasis is placed on ensemble building, spontaneity, and presence. Acquired skills will be applied to various performance opportunities. 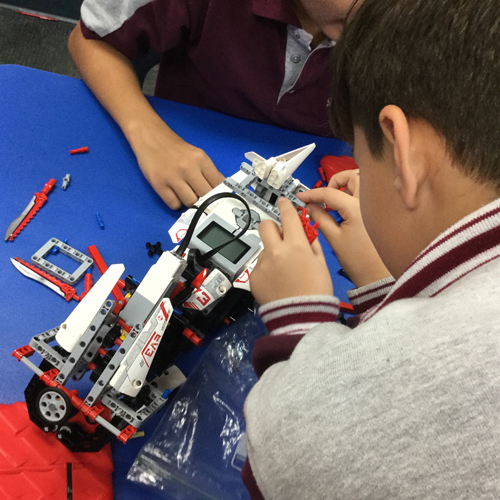 Requirements: Students should have an interest in collaboration and a desire to spark their imagination. Participation in Conservatory is encouraged, but not required. Auditions will be on Tuesday, August 28. This will be a group audition. No preparation is necessary. There is a $30 fee which will include a t-shirt and shorts. 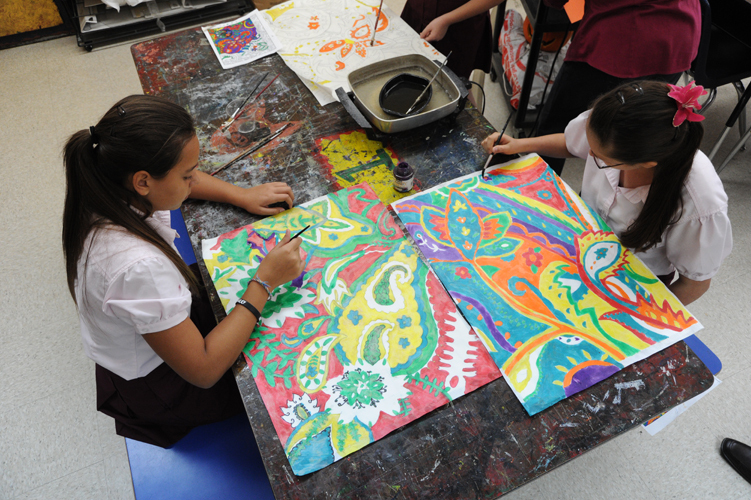 The goal for Visual Arts and Art Appreciation is to give the students the knowledge of the historical perspective of art, as well as the classical techniques of each of the movements that we will study in class. Visual Arts and Art Appreciation classes take a classical approach to teaching drawing and painting as well as the history of art. 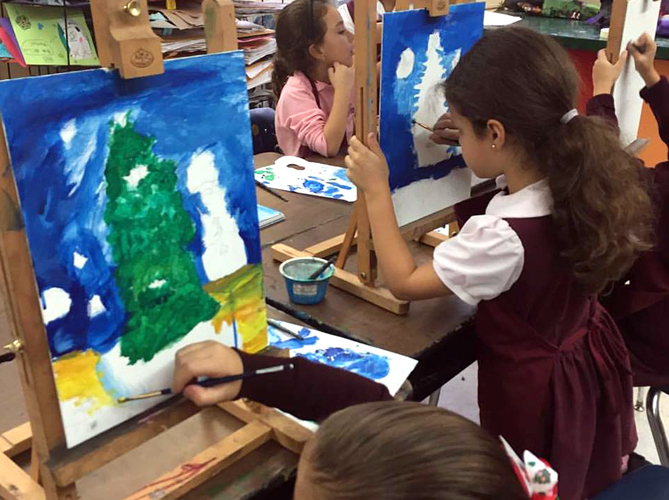 The program goes beyond arts and crafts; the students learn how "to see" in a new way as well as to view, discuss, and create art masterpieces. 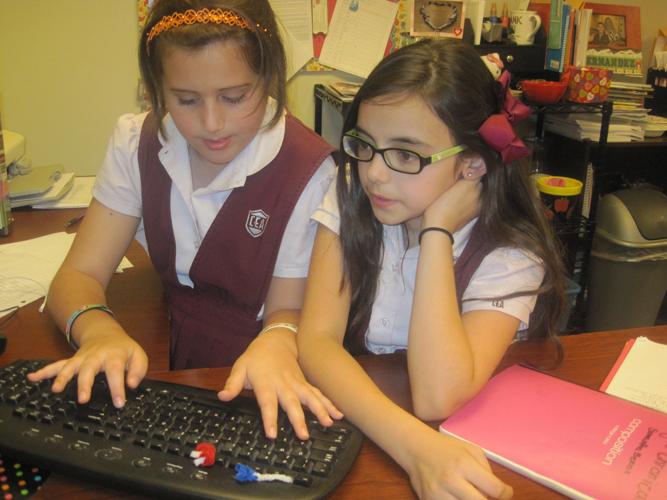 Technology is used to research different arts and periods of art. Visits to museums and other art events pertaining to class discussion will occur during the year. 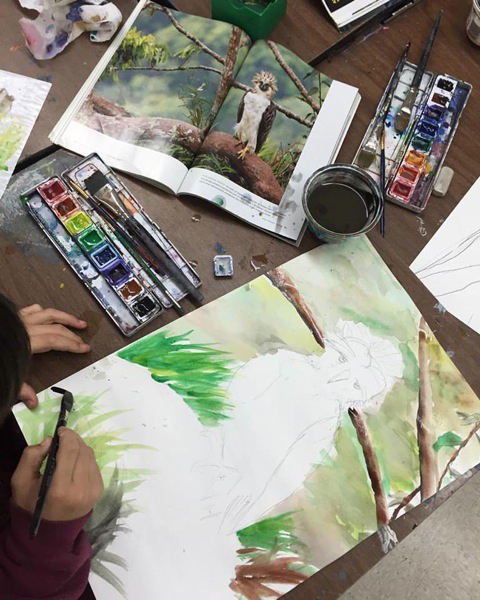 Requirements: Applicants should have a passionate interest in art since students are expected to spend at least 2 hours a week working in their sketchbooks at home. Portfolio submission is required. Portfolio should include current sketchbook with more than 10 pages completed and an original art work (size 8½ x 11) along with a paragraph or two about their artwork and/or interest in art. Name and homeroom should be on the back of the sketchbook and the art work. The portfolio should be submitted to Mrs. Vazquez by Thursday, August 30th and will be returned. There is an $80 for supplies. If you love singing in the shower, to your friends, or even in the rain, voice mastery is the perfect choice to develop your talents. Our choir sings in different languages and in a variety of musical styles from Mozart to Ringo. 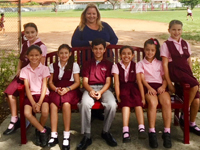 Students spread joy and music with their voices everywhere they travel. 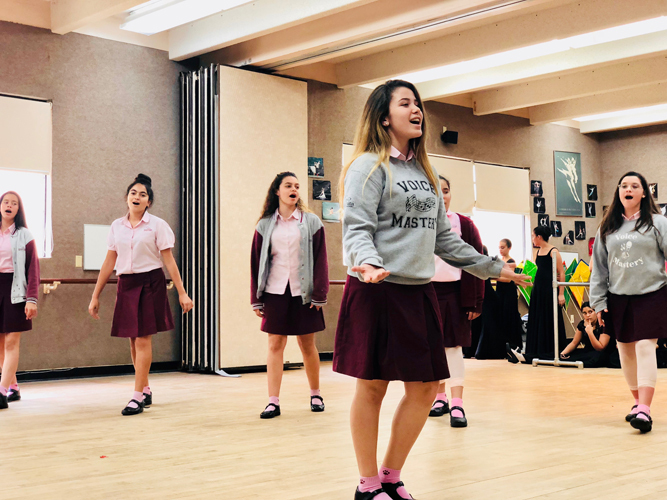 Students will develop vocal ensembles ready to perform in a choir, concert choir, show choir, soloists, duets, small vocal jazz ensemble, etc. They will also learn sight singing skills. Choir has been a tradition at CEA for over 50 years. 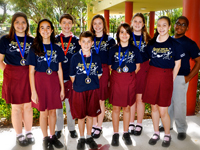 By audition only, CEA Youth Choir has been nationally and internationally recognized for its excellence as a children’s chorale. They perform several times a year in various venues. 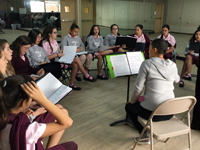 In the Junior Choir students begin to develop their voices in preparation for Senior Choir, in which students will have additional performance opportunities. CM is a student-produced news and lifestyle magazine. The class runs like a working business that is divided into departments with different duties, schedules, and deadlines. 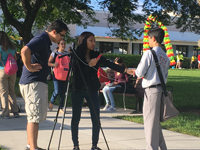 Students in this mastery get a taste of what it is like to work in the real world as a news reporter, sports writer, editor, photographer, or graphic designer. 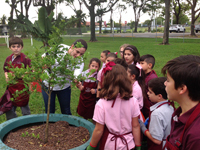 Students go on field trips, host guest speakers, and learn from professionals. They also develop a unique bond through collaboration and teamwork. They have weekly staff meetings, celebrate staff birthdays, and work together to complete projects and prepare for school-wide fundraisers. 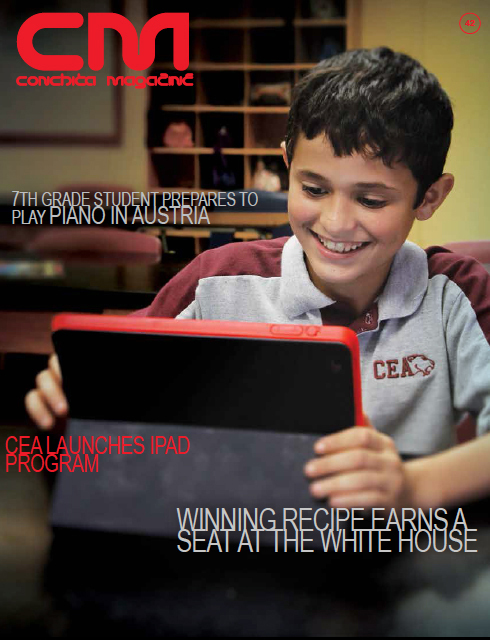 Conchita Magazine has been the springboard for igniting the desire to follow careers in journalism. Requirements: Interested students should have good leadership and organizational skills and be interested in working hard alongside a motivated and dedicated team. A three-paragraph essay is required for consideration. In the first paragraph, tell about yourself. In the second, tell what you know about CM, and in the third, tell why you think CM is the place for you. Writing sample must be submitted to Ms. Carol Diaz- Zubieta by Thursday, August 30. 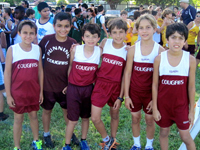 Cross Country requires students to run long distances. Students are expected to show up on time in proper running attire (regulation shorts, shirts, and running shoes). 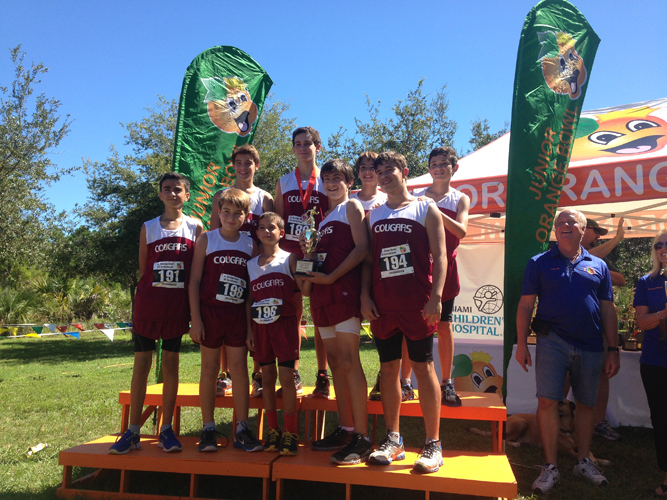 Students will be running 2-5 miles daily at different paced intervals to not only change up the routine, but also give the students a well-rounded and solid foundation as they begin to understand what cross country and track style running consists of. Also, by changing the methods in which we run, we will be able to identify the strengths of each runner, so when the track meets roll around, we know what event to put the student in to give him/her the best chance to win. 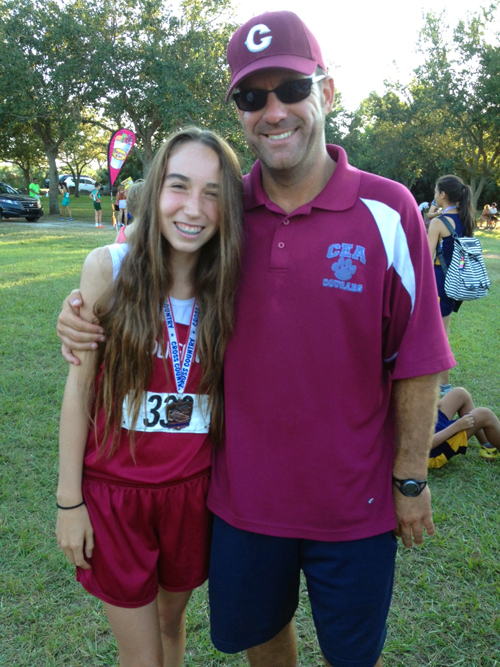 Those students who are selected will be attending interscholastic meets throughout the school year (6-8 meets). Requirement: Tryout - Tuesday, August 28. Wear your regular uniform for the day and bring your PE uniform and sneakers in a bag. 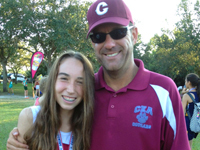 There is a $150 fee for the uniform, practice shirts, entry fees, Gatorade, tent and transportation to local meets. Students enjoy the daily morning news thanks to the hard work of the dedicated CTV staff. 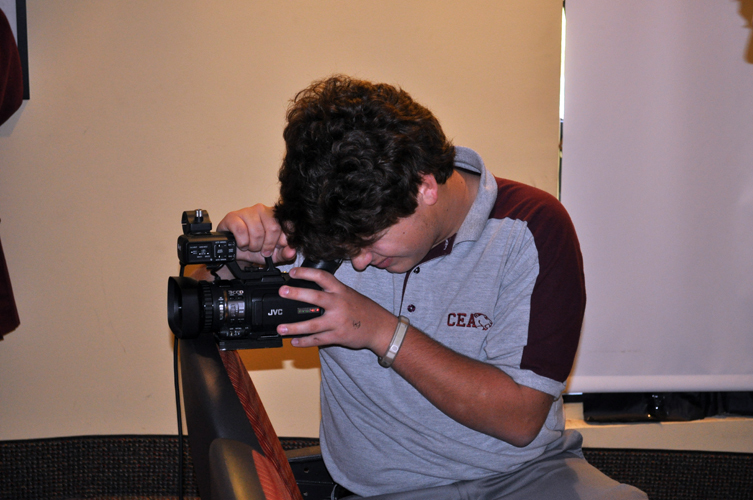 Each day students write, film, and edit the news for CEA. They are responsible for being present in school events to report and film the news for the following day. Limited and ever-changing resources call for the ability to constantly find creative and innovative ways to get the job done in a limited amount of time. 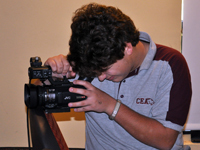 If a student enjoys writing, taking pictures and video, and working with iMovie, he/she can further develop those interests in CTV. CTV is proud to have many former cast members who have continued to pursue communications as a career. These students continue to fuel the passion for clear and effective communication that they first experienced at Conchita. Requirements: CTV looks for students with strong communication skills who are looking to further develop and enhance these skills. CTV seeks reporters who are involved in other school activities (sports, conservatory, etc.) and who are able to stay after school or come on weekends to film and be present at various school events. 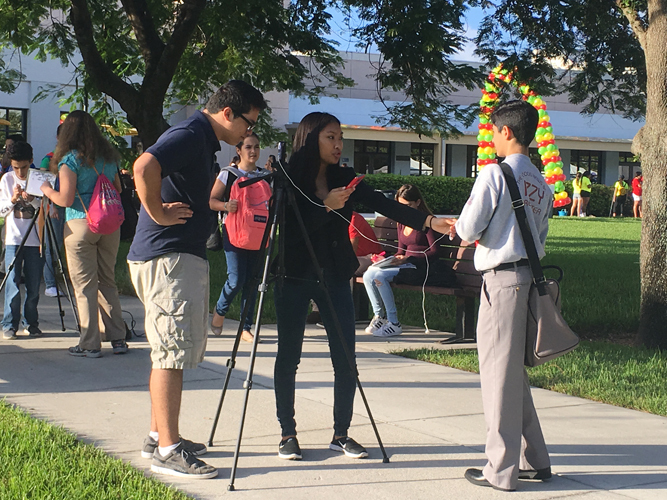 CTV students must have a proactive and positive attitude, be able to work individually and in a group, meet deadlines, and be willing to step outside his or her comfort zone. To be considered for CTV, students are asked to submit a short film explaining or depicting why they want to be a part of CTV. The movie should be emailed to cdiazzubieta@conchitaespinosa.com, evalls@conchitaespinosa.com, avalhuerdi@conchitaespinosa.com by Thursday, August 30th. There is a $60 materials fee. Girls are to wear hair in bun and bring leotard, ballet tights, ballet slippers and pointe shoes if you are on pointe. Girls are to wear their hair in a bun, bring leotard, convertible tights, jazz shoes and black spankies (optional). Be sure to bring leotard, convertible tights, jazz shoes, ballet shoes and pointe shoes (when appropriate) to the audition. Students must attend classes Monday and Tuesday to be able to audition on Wednesday. 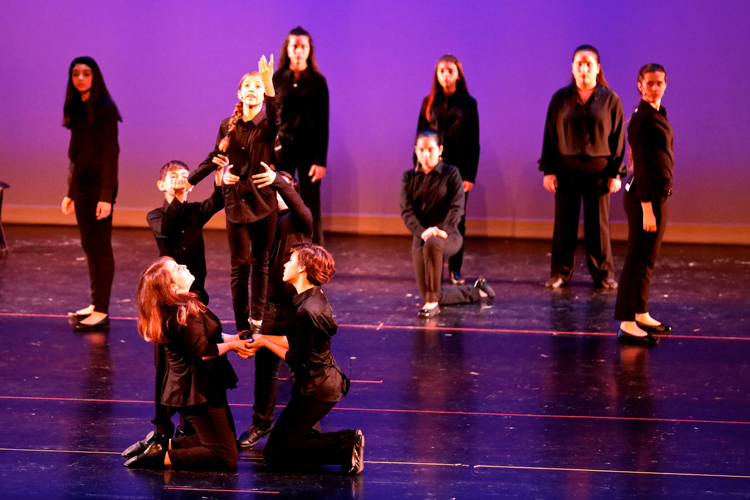 Conchita Espinosa Youth Dance Ensemble (CEYDE) is dedicated to enhancing the dance training for CEA’s dancers in various dance styles. This program has a junior level and a senior level and aims to provide students with the tools needed for performance in the professional world. 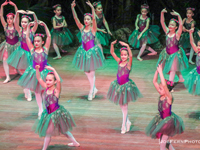 In today’s dance world, the dancer must be extremely versatile as this art form continues to develop and, therefore, classes will focus on ballet and modern technique with other styles taught whenever possible. Students will also study the “progressive ballet technique” which is a specific body conditioning class, with the use of various simple equipment. 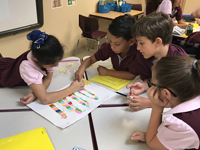 Future Teachers work with Kindergarten – 4th Grade classrooms helping the classroom teacher with grading and filing students work, creating bulletin boards, and small group and individual tutoring. As a future teacher you follow in Conchita’s footsteps helping to ignite a love of learning and a desire to make things “mejor, mejor, y mejor.” Future Teachers are Conchita’s legacy. 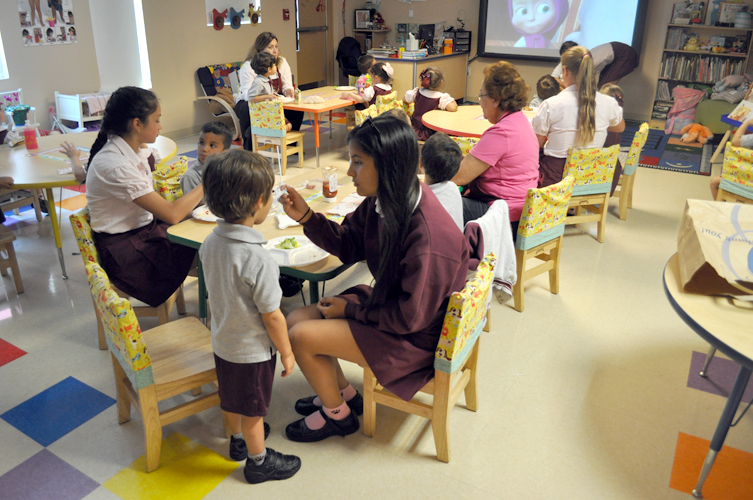 Students will undergo training to develop skills and methods for working with children. Requirements: Students should love working with young children, be proactive, and be willing to work. Interviews – Thursday, August 30. 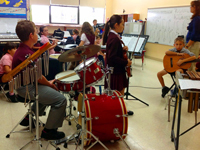 Music Ensemble is a Mastery Group for students interested in developing their passion for music. 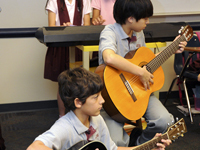 Students should have previous music experience and take at least one hour of private music lessons each week. 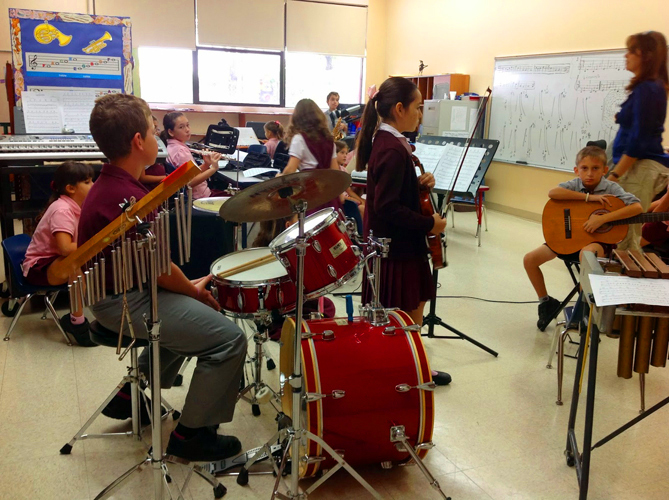 Moderators in the Music Ensemble work with students on an individual basis to strengthen their technical skills as musicians, as well as participate in ensemble work. The Music Ensemble prepares several performances each year. Members of the Music Ensemble who meet the criteria will also be eligible for induction into the Tri- M Music Honor Society. Requirements: Audition – Tuesday, August 28 – During school hours. 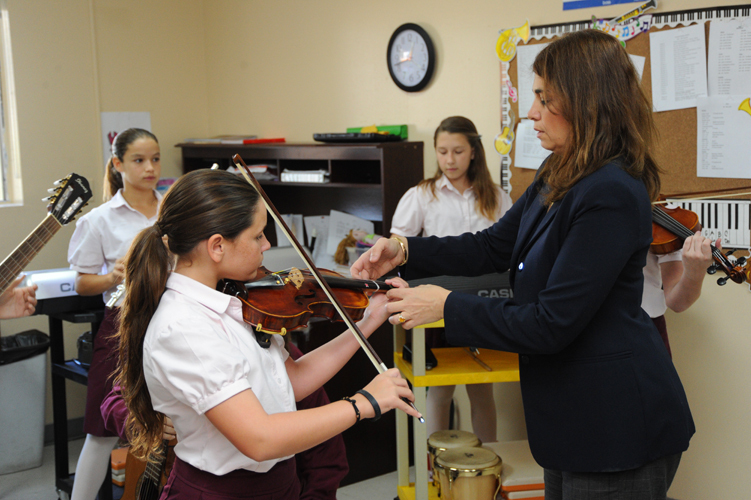 Students in Music Ensemble must be enrolled in a Conchita Espinosa Conservatory music class. There will be a $60 fee for use of instruments. 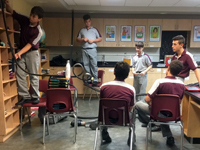 STEAM (Science Technology Engineering Art and Math): STEAM Mastery strengthens students’ abilities to be creative and flexible problem-solvers. With STEAM projects, students learn by inventing, creating, and designing and understanding the true meaning of design. 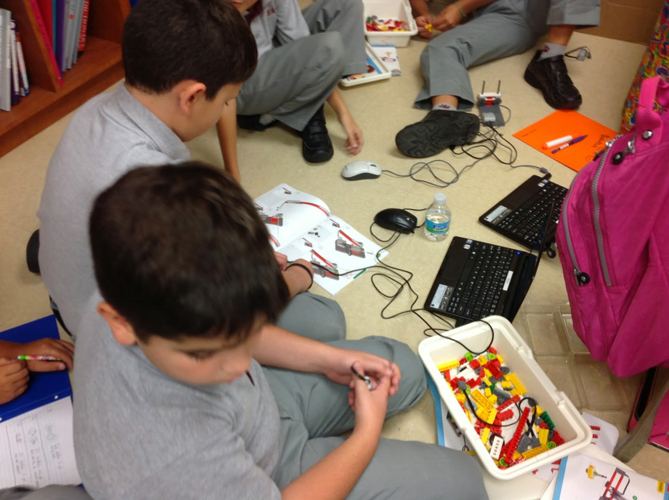 Students will be working with the laws of science (physics and engineering) and math. 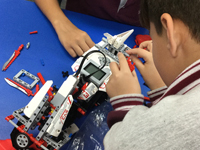 Challenges include designing an egg parachute, building a bridge to scale, programming a robot, coding, creating online video games and reverse engineering. Requirements: Students are expected to explore different ideas, to recognize failures as opportunities for discovery and to communicate well with others. Resilience is a key factor to success in this Mastery. Short essay submission is required. Write 1-2 paragraphs explaining why you want to be a part of STEAM. Essay must be submitted to Ms. Carol Diaz-Zubieta by Thursday, August 30. There is a $130 equipment fee. 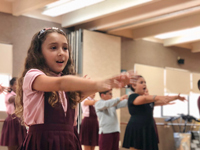 Students will be introduced to foundational acting techniques through this process-oriented mastery. We will be focusing on ensemble building, voice and movement, environment, relationships, purpose/objectives, monologues, and scene study. 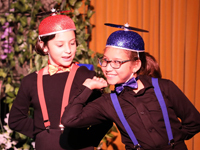 Students work as a collective to refine their story telling abilities with a deeper understanding of human behavior. 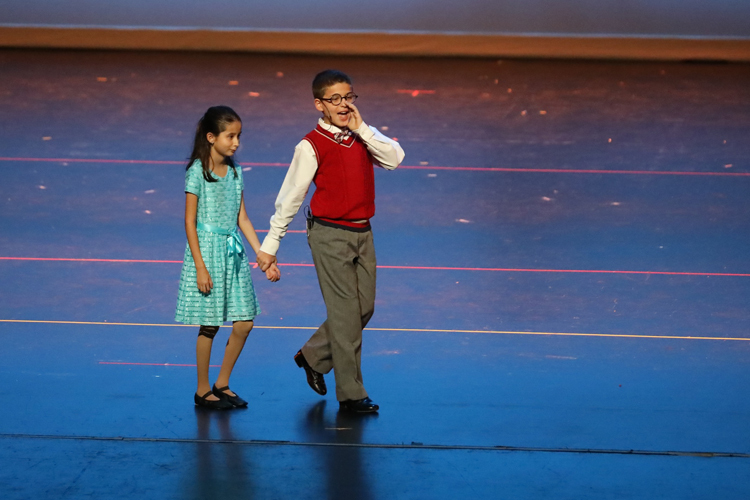 Performance opportunities will be consistently available in class during the year. Requirements: Students in Senior Mastery must be enrolled in Theater Conservatory here at CEA. Student in Theater Conservatory will take part in the Spring Mainstage Production. 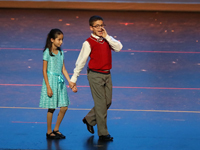 Theater Conservatory includes certain Saturday rehearsals which are scheduled as necessary. Auditions for Theater Mastery Will take place on Thursday, August 30. This will be a group audition. No preparation is necessary. 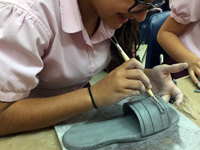 The goal for the Visual Arts Senior Mastery is to give the students the knowledge of the historical perspective of art, as well as the classical techniques of each of the movements we will study. This mastery class takes a classical approach to drawing and painting as well as the history of art. 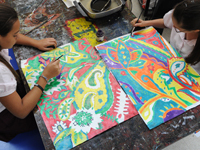 The program will go beyond arts and crafts; the students will learn how “to see” in a new way as well as to view, discuss, and create art masterpieces. Once a week we will use technology to research different artists and periods of art. Students will visit museums and other art events pertaining to class discussions. Students will learn to draw as if hands have become extensions of their eyes. Students will learn, as did artists in the Renaissance, by studying and copying from the great masters as well as looking at the world around them and discovering their own artistic visions. Students will work individually as well as in groups. Requirements: Applicants should have a passionate interest in art since students are expected to spend at least 2 hours a week working in their sketchbooks and researching masterpieces. Portfolio submission is required and should include current sketchbook with more than 10 pages completed and 1 original art work (size 8½" x 11") along with a paragraph or two about the artwork/or interest in art. Name and homeroom should be on the back of the sketchbook and the artwork. The portfolio should be turned in to Mrs. Vazquez by Thursday, August 30th and will be returned. There is a $100 materials fee. If you love singing in the shower, to your friends, or even in the rain, voice mastery is the perfect choice to develop your talents. 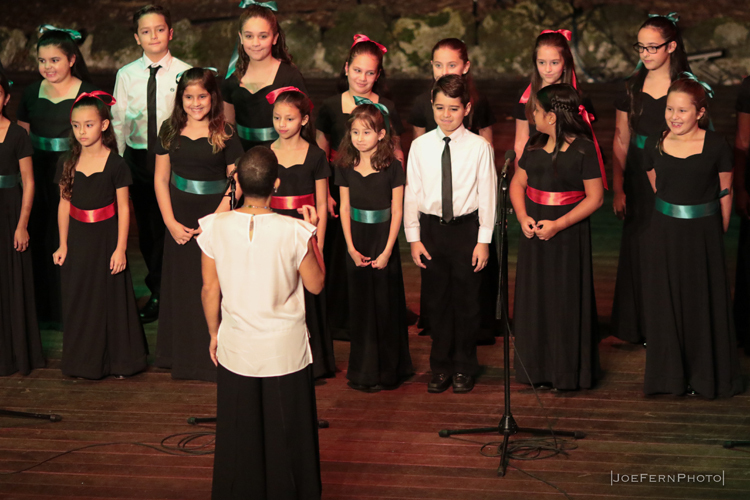 Our choir sings in different languages and in a variety of musical styles from Mozart to Ringo. Students spread joy and music with their voices everywhere they travel. 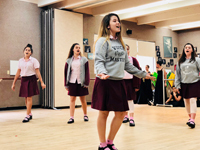 Students will develop vocal ensembles ready to perform in a choir, concert choir, show choir, soloists, duets, small vocal jazz ensemble, etc. They will also learn sight singing skills. Choir has been a tradition at CEA for over 50 years. 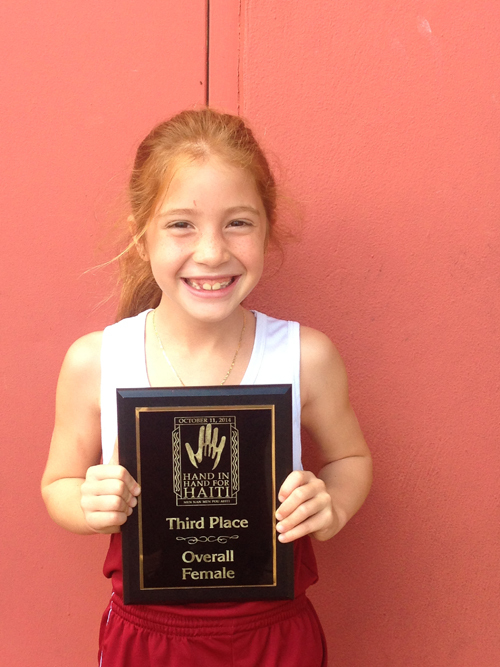 By audition only, CEA Youth Choir has been nationally and internationally recognized for its excellence as a children’s chorale. They perform several times a year in various venues. 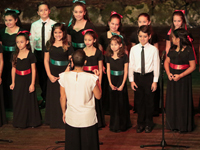 In the past they have performed in Puerto Rico, Carnegie Hall in New York City, and at Disney. Students meeting the criteria will be eligible for induction into the Tri-M Music Honor Society. Legado, our yearbook, is devoted to the captured moments that are turned into memories at CEA. 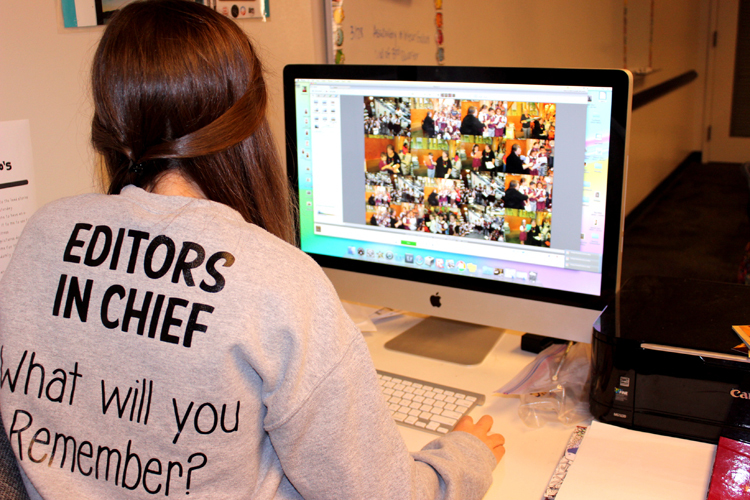 Students work year-round to produce the school yearbook. Staff members collaborate, lead, advise, teach, train, delegate, and solve problems on a daily basis. 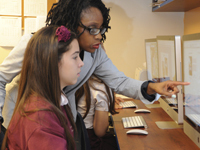 They generate graphic designs and layouts and work together to make each yearbook unique. They also learn how to use a camera and how to edit and create beautiful pictures. 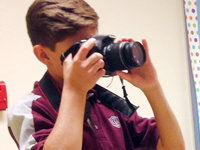 Assigned students are responsible for being present at all CEA functions to take pictures and accurately document all happenings for the yearbook. 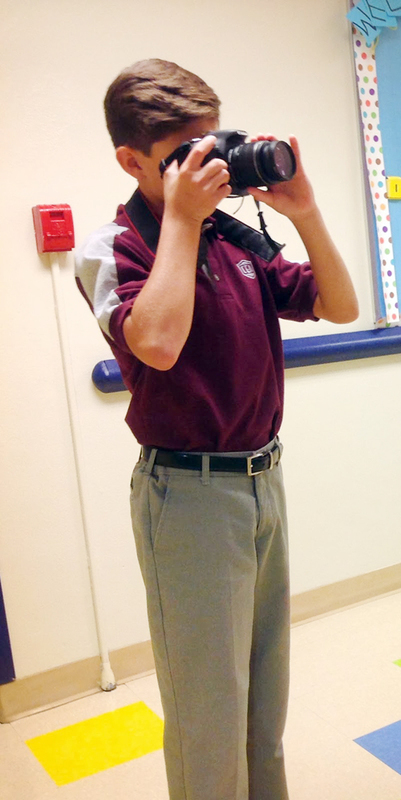 Yearbook staff will be required to take turns after school to take conservatory pictures when needed. Requirements: Essay detailing reasons and abilities for being part of the program is required and must be submitted to Ms. Carol Diaz-Zubieta by Thursday, August 30.